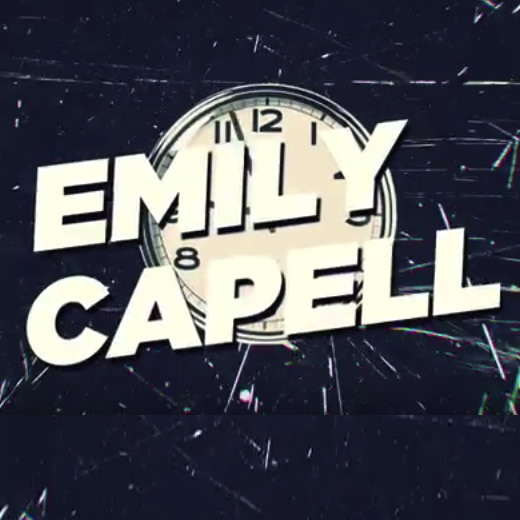 Emily Capell is a singer-songwriter from North West London with a story or ten to share. Raised on a diet of Johnny Cash, The Clash, The Smiths, Mod culture and the top 40, Emily’s approach to song writing is eclectic. Featuring a mixture of blues, indie, pop and punk. Her musical stylings draw from a pool deep and wide and is affectionately described as sounding like the adopted daughter of Jamie T and Billy Bragg, and a distant relative of The Clash and The Libertines. She tells blues inflected indie-pop tales of life’s frustrations and elations. Whether she’s railing against the wrongs of the world, getting a little frisky or inventing a new dance craze Emily will pull you in and spin you round so quickly you’ll wonder why you ever bothered with dull generic boys with guitars. Emily has found her tracks played on stations including BBC 6Music and BBC London. DJ’s Robert Elms, Amy Lame and Gary Crowley have been champions her, the latter interviewing her on his Amazing Radio show and the former booking her to perform at her long running club night, Duckie. Actor Mat Horne and footballer Joey Barton are also big fans.